Ronni Hawk can be seen on the hit Disney Channel series “Stuck in the Middle.” Opposite a talented cast, Ronni plays the pretty, yet self-absorbed Rachel; the eldest of the Diaz’s seven children. “Stuck in the Waterpark – The Movie” will share the Diaz family adventures as they embark on a family vacation that doesn’t exactly go according to plan! The movie will also be available on Disney Channel’s multiple on-demand platforms including the app and Disney Channel vod. In light of her newfound success, Ronni, who has considered herself an environmentalist since a very young age, is eager to use her position in the public eye to give back to those in need. Influenced by her father’s philanthropic work providing dental services and basic needs to communities in third world countries, Ronni has recently partnered with Thirst Project to raise funds and awareness surrounding the worldwide water crisis. With the launch of her campaign, Ronni will call on her fans to join her in raising money to fund projects building wells in communities where water is scarce. Following in the footsteps of her mother, Ronni fell in love with performing while studying ballet as a young child. Ronni danced six hours a day, dividing her time between the Bak School of the Arts in West Palm Beach, Florida, and the Boca Ballet Theatre. It was here that she discovered her interest and abilities in acting in an effort to expand her range of performance. 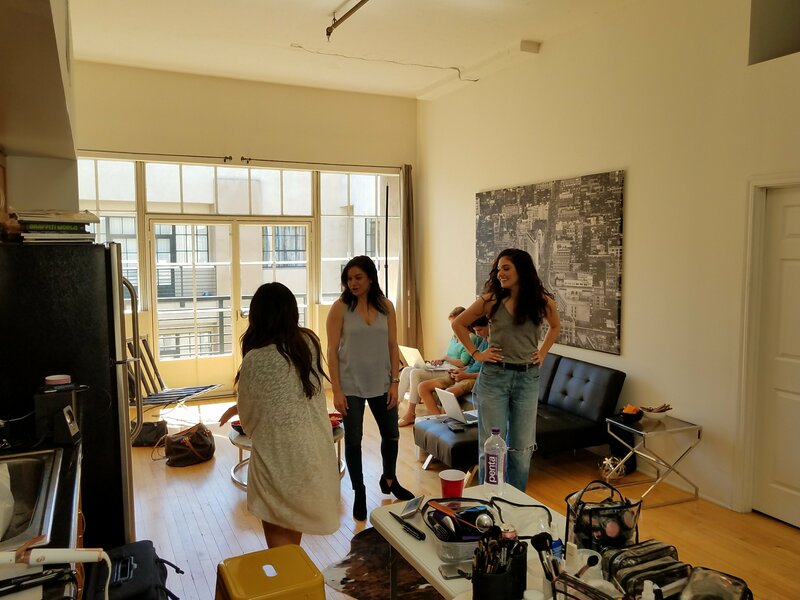 During a weekend acting workshop for aspiring actors, Hawk connected with two acting coaches from LA who encouraged her to pursue her newfound passion and suggested she try Hollywood. At the age of 13, Ronni seized an opportunity and flew to Los Angeles to meet with agents and managers. The first agent she interviewed with signed her on the spot in all categories, TV/Film, Commercial, Print and Voiceover. With the support of her friends and family, Ronni flew between the two coasts for auditions and training. At 15, she booked the role of “Rachel” on “Stuck in the Middle” and stayed in Los Angeles and began shooting the Disney sitcom. Ronni’s experiences as a young dancer taught her the importance of self-control and prepared her for performing in front of large audiences. It was Ronni’s spirit and determination that prevented the rigors of the industry from having a negative impact on her self-confidence. Hawk equates much of her drive and focus as an actress to the intensity and strictness necessary to perfect the craft of dance. Ronni is also quick to thank great coaches, tutors and her family for all of their help, support and encouragement. For her current role, Ronni references TV favorites including “Vampire Diaries,” “The Originals” and “Peaky Blinders,” but looks forward to growing into dramatic roles as her career matures. She looks to the careers of film icons such as Leonardo Dicaprio, Matt Damon, Angelina Jolie and Robin Williams and classic works like “The Dead Poets Society” for inspiration. **Images of Hawk from spread will be available in our upcoming mid/late May print issue. SINGAPORE, Nov. 3, 2015 /PRNewswire/ — As the maritime industry advances towards the development of green technology and fuel efficiency, the European Investment Bank (EIB) is currently developing a Green Shipping Finance Tool (GSFT) concept, aimed at implementing a sustainable, scalable and commercial financial instrument that provides a solution to accelerate investments in sustainable shipping projects. EIB was invited by the European Commission and various maritime stakeholder representatives to reflect on how financial initiatives established under the Connecting Europe Facility (CEF) and the European Fund for Strategic Investments (EFSI) could assist the shipping sector. Mr Mark Clintworth, Head of Shipping, EIB, will be presenting the keynote address on Financial Initiatives for Green Shipping at the 4th Green Technologies Seminar, an event co-hosted by ClassNK and Seatrade on Monday, 16 November 2015 at the Hong Kong Convention and Exhibition Centre. 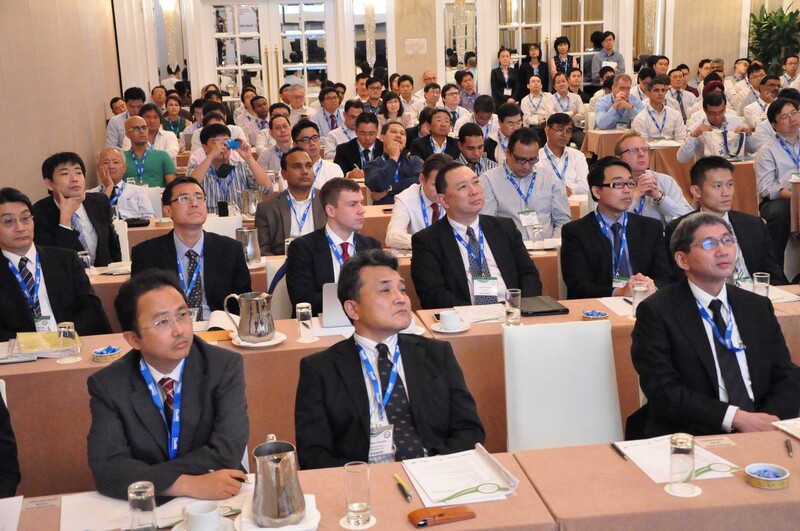 Returning to Hong Kong this year, the complimentary half day afternoon seminar covers a diverse range of topics on new environmentally-friendly and energy efficient solutions. Presentations will include the practical and financial implications of retrofitting ballast water management systems to existing vessels in addition to eco-efficient software and machinery. ClassNK together with NAPA, will share new case studies at the seminar on the effectiveness and practical application of the Dynamic Performance Model, an eco-green software. This will be presented by Mr Katsutoshi Nagata, Manager, Marine and Industrial Service Department, ClassNK. Other prominent speakers include Mr Kenji Kamita, Hull Design Group Leader, Imabari Shipbuilding Co., Ltd, Mr Isamu Teranishi, CEO, Sanwa Dock and Dr Toshio Yamatogi, General Manager, Composite Business Department, Nakashima Propeller Co., Ltd. Mr Arthur Bowring, Managing Director, Hong Kong Shipowners Association will be moderating the questions and answers segment and presenting the closing remarks. ClassNK is one of the world’s leading classification societies, providing safety and certification services for more than 20% of the world’s merchant tonnage. In addition to its wide range of classification services, ClassNK is also one of the world’s leading maritime research organisations. As part of its Joint R&D for Industry program, ClassNK is working with partners from throughout the maritime industry to carry out research and development projects focused on addressing key challenges such as maritime safety, green technology, and GHG emission reduction. Since the program’s founding in 2009, ClassNK has provided research support and funding to more than 300 maritime R&D projects around the world. Founded in 1970, Seatrade was acquired recently in 2014 by UBM, the world’s second largest media and event organiser across a wide variety of industries. Seatrade’s publications, events, management training, research and award schemes cover every aspect of the cruise and maritime industries and are highly respected around the globe. The company’s principal strength is its ability to bring key people together, encouraging innovation and facilitating better communication within the industry. Seatrade’s headquarters are based in Colchester, UK, with regional offices in Dubai, Singapore, as well as representatives in all major maritime centres and cruise destinations across the globe.